Solomon turned 8 on Monday. Time sure flies. Seems like just yesterday I held him for the first time, and now he is almost up to my shoulders. He had requested a soccer-themed birthday party, which was held at church on Sunday afternoon because as usual everyone in church was invited. The frosting looks kind of toxic green, but I actually used all-natural food colors. Becky ate a whole cupcake by herself in about 12.9 seconds. We played a round of crab soccer. I am using the term "we" very loosely as I was the referee. Miriam didn't really get the "crab" part. Or she is the first and only bipedal crab. Can you guess which team won? We also played slalom dribble and soccer bowling. 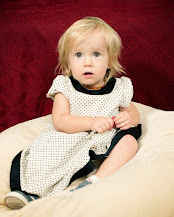 I am hoping to take Solomon and Becky for their birthday portraits this week, and post those pictures on here soon. Becky is turning 1 in three weeks. We book hotel rooms with Priceline on a weekly basis for my husband's business. We also use priceline for all of our family's personal travels. We have stayed in resorts that cost several hundred dollars per night for about $60, or at exclusive hotels along the California coast for a fraction of the price that we would have been given at the door. For vacations where we stay in the same place for several days, I like to get an extended stay hotel with a kitchen in the room, which cost about $25-$30 per night. Whenever somebody asks how we get such great deals on hotel rooms, I recommend them priceline, but more often than not, they later tell me that they could not figure out how to do it right. Priceline has two different offers for hotel rooms: a) Pick a room at one of the hotels they offer and book it at their price. This is more expensive, and really no different from any other travel site. If we ever need to do this for some reason, we prefer travelocity.com OR b) Chose "Name your own price". You will not be told which hotel you are staying at, you simply chose the area you want, how many stars, and what you are willing to pay. Priceline then either accepts your offer and gives you the info on your hotel, or rejects your offer, in which case you have to change your search or wait until the next day to try again. This concept does take some getting used to, but with as much as my husband travels, we know exactly what the best deals are where, and what the minimum price is that will get accepted. The star levels really do not say much about how nice the hotels are, as they are almost always major chains, just how many extras that particular hotel offers (e.g. room service, shuttle, etc.). For example, the Extended Stay America hotels are rated as 1-star, and they really are far from being the bottom-shelf, worst hotels out there. So here is a step-by-step explanation. 1) Go to priceline.com, and click on "Name your own price". IMPORTANT: If you just go the "Hotels" tab, you are picking and booking a certain hotel at a certain price, which is not nearly as good of a deal. 2) This little window will pop up, where you enter the approximate vicinity of where you are staying and when. You can book rooms for the same night until 8 PM Pacific Time. For demonstration purposes, I am going to enter "Indian Wells, CA" where we stay frequently. 3) The next screen shows the various areas that are available in the particular city you are looking at. For Indian Wells, there are only 3 areas. Major cities such as Phoenix can have a dozen or more areas, so it's not like you will end up at a hotel across town even though you are not picking a particular hotel. 4) Here is a close-up shot of the same screen as above. You will notice that area 3 has a "Best deal" symbol by it, meaning that this area will offer you the nicest hotels for the lowest price. If this is an area you can stay in, it would be your best option to chose. This is another close-up of the same screen, showing that the resorts are the best deal. So even without being able to chose a certain hotel, you now know that your best option will be to chose "Resorts" in area 3. 5) At the bottom of this same screen, you then enter your price and information. When you hit "enter", you need to confirm that you understand the offer is non-refundable and non-transferable. We also always opt-out of travel insurance. After that, priceline will tell you whether or not your offer was accepted. In my example of Indian Wells, there are several different resorts that can be booked at $55-60 per night, even though per priceline the median retail price for resorts in that area is $199 (you can see that info in the box next to where you enter your price; see above image). Resorts are great for families with lots of children because they usually offer huge rooms, sometimes even two-room suites, with 2 queen-size beds, a queen-size sleeper sofa, and playpens on request. Booking through priceline only guarantees one king-size bed, but hotels are almost always happy to substitute a room with two queen/double beds instead at no extra charge. As another rule of thumb, the nicer the hotel is, the nicer the staff will be, and they are not likely to complain about there being too many people in the same room. That's it. Not nearly as complicated as it may seem. 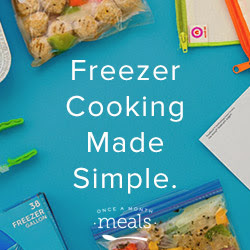 Please let me know if you tried this after reading about it here. Things went well this week as far as school is concerned. I found myself surprised how fast we got done with the work each day. For Bible memory, the boys had originally each picked a different book that they wanted to work on, but realized it would be better to settle on just one if they wanted me to help them learn the verses. They picked the book of Jonah, and are doing really well with that. Favorite subject of them all would have to be P.E., which they do at a park with other homeschoolers. The coach is great, and makes it fun but not too easy. Least favorite subject for Solomon and Isaac is copywork/penmanship, just as I would expect from boys. John loves everything. Other than that, nothing much new this week. Solomon is having a birthday party on Sunday afternoon, and we need to be getting ready for that. All five kids' birthdays plus Christmas are coming up within the next 4 months. Becky is almost 1 already, it's hard to believe. 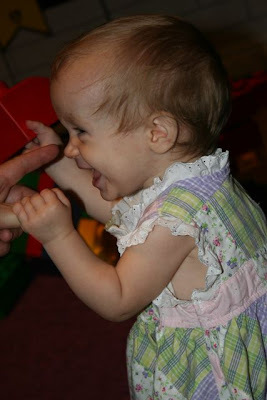 She just sprouted her second tooth a few days back; the first one came through a couple of weeks ago. All our kids are late teethers. She seems pretty unfazed by it. But she is increasingly getting frustrated about not walking yet. She squirms and fusses and wants to be carried everywhere, but is not content because she wants to do it herself. Right before she started crawling, she acted the exact same way, so maybe it won't be much longer. John said he saw her take a step on Tuesday. She can say a few words, and one time this week she very clearly said "Thank you!" when a stranger handed her something. The lady was blown away, as was I. Becky is tiny and looks younger than she really is, more like a 6-month old, and that in spite of the fact that she eats like a horse. I'd love to write more, but it's been a long day. Hope you all have a wonderful weekend with your families! Pregnancy is a great time to learn about all things relating to childbearing, birth, breastfeeding, and the like. Especially first time moms should be able to eek out some spare time to read and educate themselves. Sadly, most women trust that they will get all the right and needed advice from their health care provider (as they should), but such is rarely the case. "Informed choice" is really no choice at all if no alternatives are given. For any mother-to-be, pregnancy is a very emotionally-laden and vulnerable time. We all want what is best and safest for our children, and there is a certain fear of the unknown involved, even for mothers of many children. Death and life are forever entwined in the process of childbearing - we practically have to brush up against death in order to bring forth new life. It is therefor no small wonder that mothers will do whatever they are told is best and safest for their baby. Unfortunately, the information they are given is more often dictated by current medical fashion, rather than fact. Our grandmothers gave birth under "twilight sleep", strapped down to their hospital beds because the drugs would make them thrash uncontrollably. Our mothers were shaved, given enemas, routinely administered IVs, denied food and water, had baby monitored with internal fetal monitors (that screw into the baby's scalp; these are still in use today when the external ones don't work), and were not allowed the support of a husband or friend by their side. Today, hospitals offer "birthing suites" that are intended to curtail the fact that births take place in the hospital, a place intended for the severely ill, as if pregnancy is inherently a pathological condition. C-section rates are higher than ever before. This is one of my pet peeves. These days, with one in three babies born by way of major surgery, you are a candidate for sectioning if you are too old, too young, to short, to fat, too petite, your feet are too small, your baby is too big, you have had a Cesarean before, baby is presenting breech, the weekend is approaching, or your last name starts with any of the letters from A to Z.
I am not trying to say that all pregnancies are low-risk, and that no babies should be born at the hospital or via Cesarean section. But for the vast majority of women who are having babies naturally (as in, not having high order multiples or getting pregnant for the first time in their 40s thanks to reproductive medicine), pregnancy and birth are straight-forward and safe. Which makes them not very lucrative for doctors. It also doesn't provide them with something to "fix". Some doctors are motivated by greed, some may be ignorant, never having witnessed a natural birth, or been taught how to deliver a baby that is presenting bottom first. Some may be sick and twisted and enjoy torturing people, such as abortion doctors who also work in labor & delivery. Ultimately, however, it is our responsibility as parents to educate ourselves and to take charge of the care we seek out and receive during pregnancy. None of us would buy a new house or a new car without putting some serious thought and research into it. Nobody would want to invest $1 million not knowing exactly how to best do it. Each of our children is infinitely worth more than any of these earthly possessions, and naturally, I want what is best for them. Having a good birth is more than just having a living baby and a living mother, no matter what condition they are in or how much they suffered during the process. 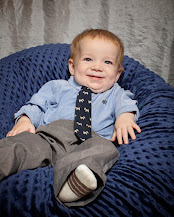 By God's grace, birth can be a time of great rejoicing, with only minimal physical discomfort. The following are some books that I think are great reading for achieving just that. I highly recommend them to any expecting couple. According to writer and editor Block (Our Bodies, Ourselves), "the United States has the most intense and widespread medical management of birth" in the world, and yet "ranks near the bottom among industrialized countries in maternal and infant mortality." Block shows how, in transforming childbirth into a business, hospitals have turned "procedures and devices developed for the treatment of abnormality" into routine practice, performed for no reason than "speeding up and ordering an unpredictable...process"; for instance, the U.S. cesarean section rate tripled in the 1970s, and has doubled since then. Block looks into a growing contingent of parents-to-be exploring alternatives to the hospital-and the attendant likelihood of medical intervention-by seeking out birthing centers and options for home-birth. Unfortunately, obstacles to these alternatives remain considerable-laws across the U.S. criminalizing or severely restricting the practice of midwifery have led the trained care providers to practice underground in many states-while tort reform has done next to nothing to lower malpractice insurance rates or improve hospital birthing policies. This provocative, highly readable expose raises questions of great consequence for anyone planning to have a baby in U.S., as well as those interested or involved in women's health care. The author, Jennifer Block, also has a blog with lots of great information. 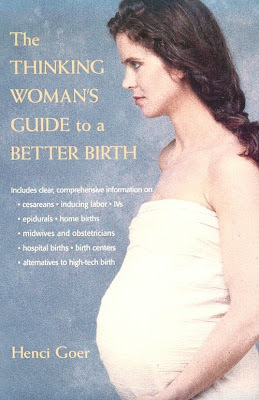 Given the nature of the subject at hand - natural birth - I recommend this link for ladies only. 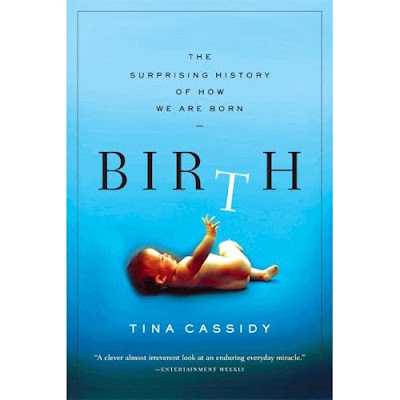 This book gives a historical tour of birth practices throughout time, how our Western approach to pregnancy care came to be what it is, and who let men into the birthing room. Very well researched with lots of fascinating info. I do of course disagree with the premise that our troubles during childbirth have to do with our evolutionary-imperfect pelvis that was made for a monkey walking on fours, not a human walking on two legs. Instead, I believe that this is the result of the curse pronounced upon mankind after the fall. I skipped the first chapter of the book, and found the rest to be extremely informative. Former talk show host Lake, producer of the documentary The Business of Being Born, joins with Epstein, the film's director, to further probe the subject of birth in America. 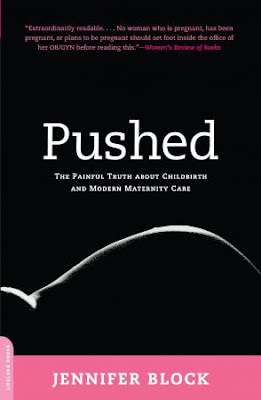 Asserting that the high tech, low touch trend in medicalized births has usurped parents' sense of power and choice, the authors present a detailed examination of the birthing experience, beginning with their own personal accounts. Employing the premise that although one can't predict what will happen during birth, one can prepare, they present options that women should consider, including home birth and the use of a midwife or doula. Lake and Epstein point out that while 99% percent of births in the U.S. take place in hospitals and one-third are cesareans, the vast majority of births are not high risk and may not require medical intervention. But the fear of pain combined with unnecessary hospital protocols cause many couples to narrow or relinquish their options. The authors discuss the pros and cons of such interventions as episiotomies, epidurals and electronic monitors, and encourage women to carefully question their practitioners and hospital personnel. 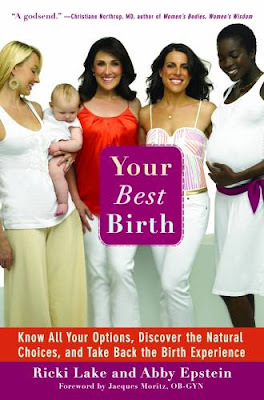 Above all, the authors advocate a safe and empowered birth, whether one chooses a hospital, home or birth center. This is going to be a very busy day. Thankfully, I have 3 full-time helpers that will be working alongside with me all day long, their names being Solomon, Isaac, and John. My hope is that by writing this all down, I will be more motivated to do it all and not throw in the towel before everything is done. - Weekly house-cleaning. That means the whole house clean from end to end. Because of our current financial situation, I canceled the weekly cleaning service I had. My husband said it was okay to continue it, since he does not help with the housework at all (he's busy enough with his job) and sees it as him cleaning the house when he pays for it. I really appreciated while we had it, but I thought the kids might as well do it and help us all save money. I pay their allowances on Saturday when the work is all done to motivate them. - Major car servicing: I need to get the oil changed, a tire replaced, and the whole van washed and vacuumed. And I need to gas up since I am driving on fumes. I try to clean the van every Saturday as part of the regular chores, but this week I also have to do the tire and oil change. Don't like running errands during the week when we have school work to do. - Yard work: Thanks to the kids, the yard gets trashed with toys, bikes, and everything else imaginable on a weekly basis. We need to tidy it all up, mow the lawns, replace a broken sprinkler head, and service the pool. This time, I am mowing the lawns, because my husband broke two sprinkler heads last time he did it. It's more trouble buying and replacing them than it is to mow, so I am really just saving myself some work. - Go to the library: Last night, we didn't go to the library and get next week's books because we went to a bat release that was put on by the Arizona Game and Fish Department. So we will have to do that today, too. One thing I won't have to do today is cooking, because I made enough yesterday to last all day today, and lunch for tomorrow is also waiting in the fridge. Oh, and I am trying to get all of this done before picking my husband up at the airport at 7 tonight. Something tells me that when he comes home after being gone for 3 days, he does not want me to clean when he gets back. Please pray for lots of energy and happy work attitudes! I was able to clean the whole house, but only mopped one half of it and finished the rest during naptime today. The car maintenance all got done, and Sam's even gave me $25 off on the tire. The yard work is almost done, but I didn't have time to stop at Home Depot and buy a sprinkler head. Once I replace it, the front yard still needs to be mowed, but my husband wants do to that tomorrow. I did finish the whole backyard and pool yesterday, which took me almost 2 hours, but now it looks great. We didn't make it to the library until this afternoon, and found 36 books that relate to our study of China this week. We have already read several of them since then. In my list of chores above, I forgot to list that there were about 15 loads of clean laundry waiting to be ironed/folded/hung and put away, thanks to being gone on vacation. We got about 1/3 of it done yesterday. I was going to do more of it today, but there was no time in the afternoon and now I am too tired to do it. There is always tomorrow. Yesterday, I also baked a loaf of bread from a new bread book I found at the library, and washed the seat covers on the double stroller and the baby's carseat. The boys hosed down the stroller frame and soaped up all the parts of fabric that couldn't be removed. We left it out to dry, and now it looks very nice again. In all, a very productive weekend. I thought some of my homeschooling readers may be interested in our curriculum choices this year. 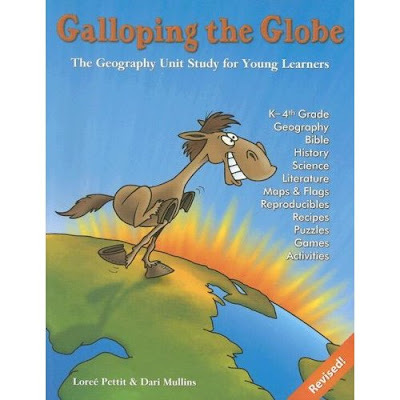 Our main curriculum this year is going to be "Galloping the Globe", a geography based unit study. I found a copy of it at the homeschool convention this summer, and immediately fell in love with it. A unit study covers all subjects - except math and language arts - for all grades (at various learning levels). For moms with several children, this means that much time is saved by not teaching children individually. Unit studies often also use available public resources such as libraries and the internet, which saves a lot of money. One main goal of unit studies is to teach children to love learning by making it fun and interesting. For example, next week, we are going to learn all about China. The curriculum gives lots of suggestions for books that can be borrowed from a local library. Learning about the Great Wall of China, Marco Polo, and various emperors of the past covers history. Social studies that week will focus on studying Chinese holidays. For literature, books that are set in China or relate to the country in some other way are listed. There are suggestions of Bible passages that relate to themes in these various books. Science next week will focus on animals that are traditionally found in China, such as panda bears and orangutans. 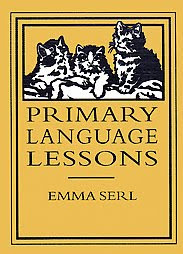 The book also lists many other activities that tie in with China, such as playing ping-pong or making a Chinese meal to conclude the weekly study. 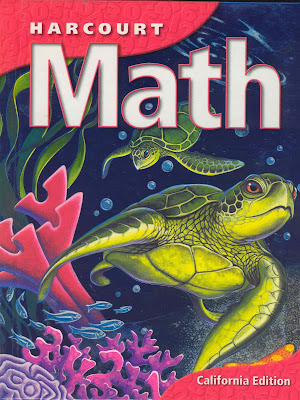 For Math, all kids will continue to do Harcourt Math. I really like this course a lot. The books thoroughly explain new concepts in simple terms, which is conducive to self-teaching on days that I am pinched for time. The books are advanced, without being frustrating or overwhelming. Plus, because the books for 3rd-6th grade are non-consumable hardcovers, I only have to buy them once. 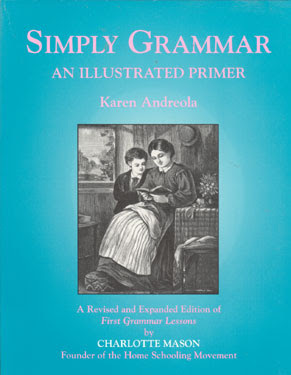 K through 2nd grade are consumable workbooks, but all can be found quite easily and inexpensively on ebay etc. For English, I wanted to find something that had a relaxed approach and would engage young minds rather than bore them to tears. In past years, we used A Beka and Bob Jones, both of which were nice but required too much involvement from me, were too repetitive, and often not mentally challenging. With that in mind, I tried to find something different and better, but so far, we really have not had enough of a chance to use the new books and give an opinion on them. First impression is very good, though. These are the subjects we will be working on Monday-Thursday. In the chart below, subjects that will not be studied on Fridays have a gray background. Fridays are reserved for music lessons and field trips. All three boys are getting free violin lessons from a wonderful teacher in town, whom God put in our path. For field trips, we try to do something every week, such as visiting a museum, touring a factory, or going on a nature hike. I also signed the boys up for homeschool science classes at the Arizona Science center. They last about 2 hours, and we go one Friday each month. This week, the boys learned all about magnifiying and got to use various microscopes. Of course, they totally loved it. The science center also has loaner boxes available to take home, which contain all the info and materials needed to complete projects on certain subjects. We took home "Light and Colors", and Solomon has eagerly been working through it. Fridays are also our library days, where we go and check out the books for the following week's subjects. Whatever they choose – once our kids finish learning to read, the problem is not getting them to read, it’s to get them to stop and instead work/play/run around. Galloping the Globe – this is a wonderful one-year unit study that focuses on one country per week, tying in science, history, literature, cooking, etc. Very fun and educational!!! These are just two books we are using this year to go along with our family read-aloud. The kids make lots of crafts on their own every day. They love to draw, color, cut, glue, build, and generally make the school/dining room a complete mess EVERY. SINGLE. DAY. Yes, there is some frustration in that sentence. We have too many books with great craft ideas to list them all here. The kids really like most of the ones in the “Williamson Little Hands Books” series. Hope you gleaned some ideas from this post if you are still looking for school books this year! This post may not seem like much, but it has literally taken me hours to put up. My camera is still broken and giving me lots of trouble; I can only use about 1 of every 5 pictures I take. The software on the computer that I use to "fix" the pictures (remove red eyes, crop, etc.) is not working any more, and I have to do all that in a really round-about and time-consuming way. The computer crashed twice in the process, when it's not crashing it is painfully slow, and Blogger is giving me lots of grief. Still, I am going to win this battle! I am determined to share the pictures that I have been waiting for weeks to put up here. Because we are doing a lot of unit studies for school this year, each of the kids has their own binder to keep their work in. Miriam really doesn't need one, but she insisted on having one just like the big kids. They all decorated their own binders. We went on a tour of the Cerreta Candy Company, where Solomon and Isaac were allowed to make a treat. The next few pictures were all taken at the Arizona Science Center. They were hosting a traveling Legoland exhibit. The kids loved playing with the Legos and all the costumes. Becky loves bathing in the kitchen sink. It saves my back, too - much easier than kneeling on the floor next to the bathtub. Miriam also wants to bathe in the sink now, and on days that I need to wash her hair I let her because I use the spray thingy on the sink to do it. No more tears or screaming! I sewed this gardening set for a friend's birthday. It has an apron, a gardening tote, and a sun hat. The pattern was super easy and explained every very well. Miriam and John working on some worksheets. They both enjoy "school" and often ask to work even on days that we are "off". Some friends visited from Idaho and gave my husband a "Your Best Life NOW!" board game for a gag gift. We actually played it, and it was so weird it was funny. At one part, you had to look in the mirror and tell yourself all the wonderful things about YOU. We really enjoyed having our friends' company, in spite of the goofy game. Isaac surprised me with these flowers, that he bought out of his own money for me one day while we were out shopping. He was disappointed that he did not have enough money to buy a dozen roses, but I absolutely loved these, and told him they were much nicer than roses. They lasted for a really long time. What a sweetheart! We have the best kids! A few weeks ago, we threw a surprise pregnancy shower for a lady in our church. This is NOT a baby shower. This is just to celebrate Mom and the fact that she is pregnant. We had lots of ice-cream and yummy cake. Becky LOVES strawberries. She can eat dozens of them at a time. It's messy, but very cute. See for yourself in the video below. We finally went to see the huge meteor crater up in Northern Arizona. It was pretty impressive. Miriam brought her stroller along, her new obsession. Everywhere she goes, it goes, along with ten babies/stuffed animals, a play carseat, and at least one purse. It's really quite the production to tag all that along in addition to my five kids. John pretends to be Miriam's husband. 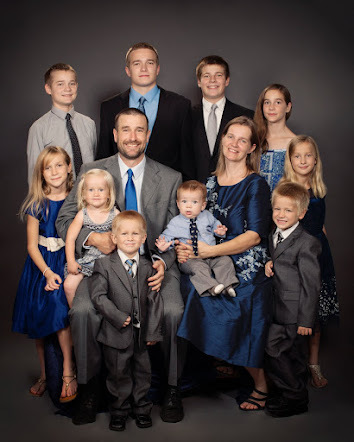 They have names for all ten kids, and they range in age from newborn to three (scary, huh?). The 3-year old, Tad, is bratty and gets in trouble a lot, because he is the oldest and thinks he can do whatever he wants. Or so I have been told. Isaac standing in front of the apartment where he was born in Citrus Heights, CA. Photos from the railroad museum in Sacramento. Solomon took the picture of me. In the third photo, Solomon is pointing at Billy Graham's two mail slots in the mail sorter car. At Apple Hill with Grandma (my husband's mom). Boy, did we find some killer apple doughnuts there! I wish I had one right now. This will have to do next time I get a craving for them. Pictures from Old Sacramento. We rode the old steam train on a 6-mile trip, and then browsed the restored historic downtown area. Because we were traveling with five squirmy little kids, we took three days to drive back to Arizona from Northern California. My husband had work to do along the way, so it worked out well that way. The first night, we stopped in Morro Bay, right on the ocean. The second night we spent at our favorite resort in Indian Wells, which was totally deserted. The kids had the pools and water slide completely to themselves, there was literally nobody else there. Thanks to Priceline's "Name Your Own Price", we paid $60 for a huge suite with 3 queen beds that very comfortably accomodated all of us. Much cheaper than Motel 6 (they charge per person), and definitely much nicer! We are back home now and things are slowly returning to normal. My husband lost much of his business because of all the media hype - his biggest customer dropped him. He had to let all of his employees go, and has to do all of the work himself again now, which involves a lot of travelling. Hopefully, he will be able to rebuild his business over time. The kids are finally starting school this coming Monday. More on that in another post.